It was Monday night, but not like too many Monday nights we have had before. It was a Monday drum-a-thon. Let’s start with Howie Weiner’s Book, Tangled Up in Tunes. I had just finished the book, was posting my reviews about it; and as I was in and out of Facebook one day, I saw Stagger Lee Ganbarg available via instant chat. There was a quick “how do you do?” and I told him a about the book. After that little chat about Howie’s book I asked him, if wanted to play and next thing I know, after 9 year of not seeing him, there he was behind drumkit #2 in Caroll’s Studio 2. Speaking of books, Bill Sloan just the previous day asked me about my new Jerry Garcia Song Book, Version 8 and I squeaked out a few links to the book, just prior to leaving for the jam. At the end of the message I told him we were playing at 8 o’clock and invited him to show up. He said he probably would. Other guests for the night include Stevie and Lindsey and Ryan of Meg Ryan, but meg wasn’t there. Ryan played drums on a couple of songs with Scott. Bill jammed a couple of songs with Lee. For the most part Bill played some nice bongo, percussion, etc, which he put an SM-58 on and it sounded really good. The combo of Lee, Scott and Bill was a great back drop to the rest of us. I really liked the sound and the vibe in the room. 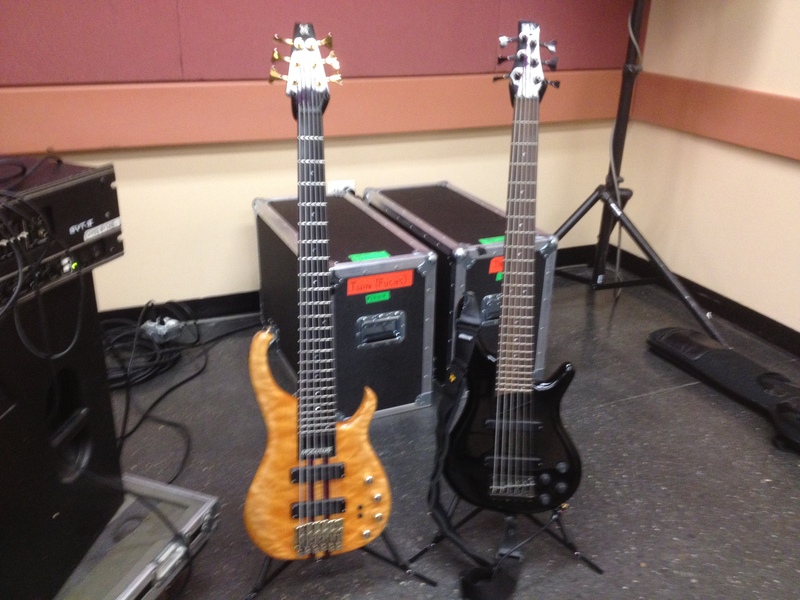 For the rest of the jam, Kevin played his old Ibanez bass with flat-wounds. He didn’t use it for the whole night. I was with my Strat, Alan was with his blue-light special and Rich was tinkling behind all that wood. It was a special night of jamming and look forward to making it happen again in the near future. When Rich gets back into town we will hopefully get to listen to the songs and see the set list. Until then, this video of the Let it Grow, shot by Scott while Lee and Bill played drums will have to suffice. I got the MP3s, and they are available at the following location. 21 Beefy songs is a full plate for an evening.